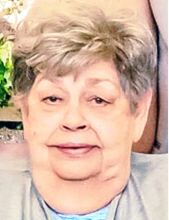 Margaret Astor, 75, of Vidor, TX died Tuesday, January 29, 2019 in Beaumont, TX. A native of Pascagoula, MS she was a Registered Nurse and retired from Christus St. Elizabeth Hospital before becoming a traveling nurse for 10 years. Margaret enjoyed tending to her house plants, going to casinos and watching crime TV and western movies but she especially enjoyed spending time with her grandchildren. Visitation will be Saturday, February 2, 2019 from 2:00 p.m. to 6:00 p.m. at Memorial Funeral Home of Vidor. Margaret is survived by 1 daughter; Susan and her husband John Wesley Brown of Vidor and 1 son; George Thomas Astor and his fiancee' Aimee Landry also of Vidor, 3 grandchildren; Melissa Brown, Alexis Smith and her husband Nate, and Zane Brown and his wife Veronnica. She is also survived by 2 great grandchildren; Scarlette Rainwater and Evan Brown, 2 sisters; Sandra Owens and Christyna Bright along with numerous cousins. Margaret was preceded in death by her parents; Thomas and Ruth Bright. Cremation arrangements were entrusted to Memorial Funeral Home of Vidor. To send flowers or a remembrance gift to the family of Margaret Astor, please visit our Tribute Store. "Email Address" would like to share the life celebration of Margaret Astor. Click on the "link" to go to share a favorite memory or leave a condolence message for the family.